(Lanka e News - 01.March. 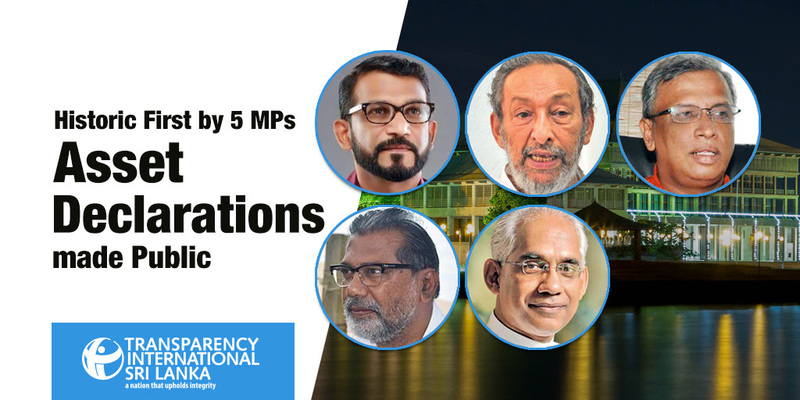 11.30PM) A group of 5 members of parliament from across party lines came together today to publish their declarations of assets and liabilities in the public domain. The five MP’s who came forward to take this step towards changing the political culture of the country were, Hon. Tharaka Balasuriya, Hon. Vasudeva Nanayakkara, Hon. M.A. Sumanthiran, Hon. Vidura Wickramanayake and State Minister Hon. Eran Wickramaratne.